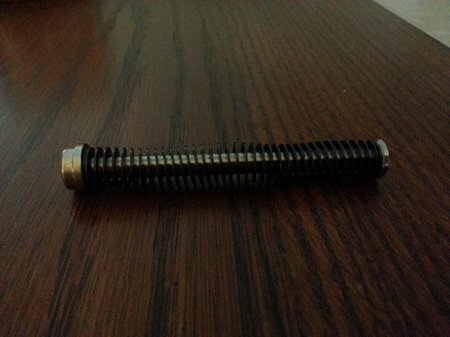 You can get a single flat recoil spring assembly,in lieu of the double spring, for Glock Gen 4’s with a stainless steel guide rod. These stainless steel guide rod spring assemblys add weight (almost 2X) and reliability to the Glock. Stainless steel is more reliable than plastic plus it’s weight helps reduce recoil. The single spring works as well as the double spring. I’ll try to detect the difference while shooting the Glock 22 shortly. 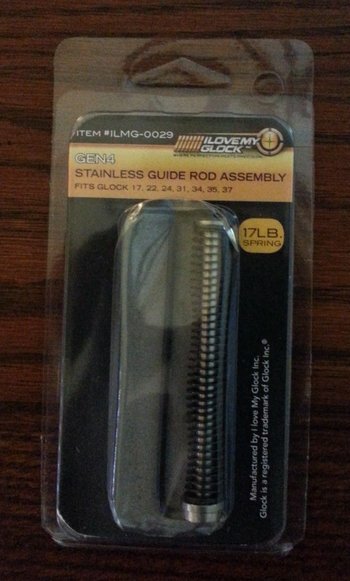 Here is the stainless steel guide rod spring assembly from I Love My Glock. It’s the Gen 3 design but modified for the Gen 4. 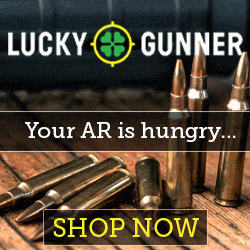 Notice the end has a large adapter for the Gen 4 Glock’s slide. 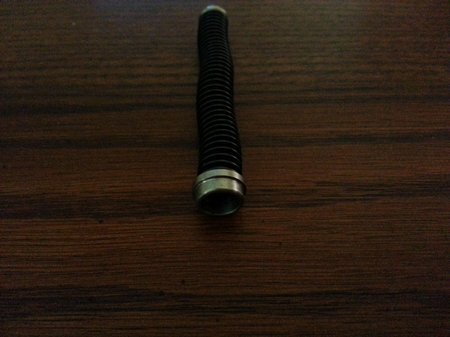 This is a high quality recoil spring assembly and comes in Tungsten too. You can buy it in various spring weights. I always carry a spare recoil spring in my SHTF bag along with another barrel. Spare parts are good assurance. This entry was posted in Handgun Accessories and tagged glock gen 4 recoil spring by admin. Bookmark the permalink.